It reminds me of Japanese night festival colors! It's time for summer festivals! I miss Vancouver's summer time, there are a lot of free outdoor activities everywhere. I really love outdoor movie idea in Stanley Park. 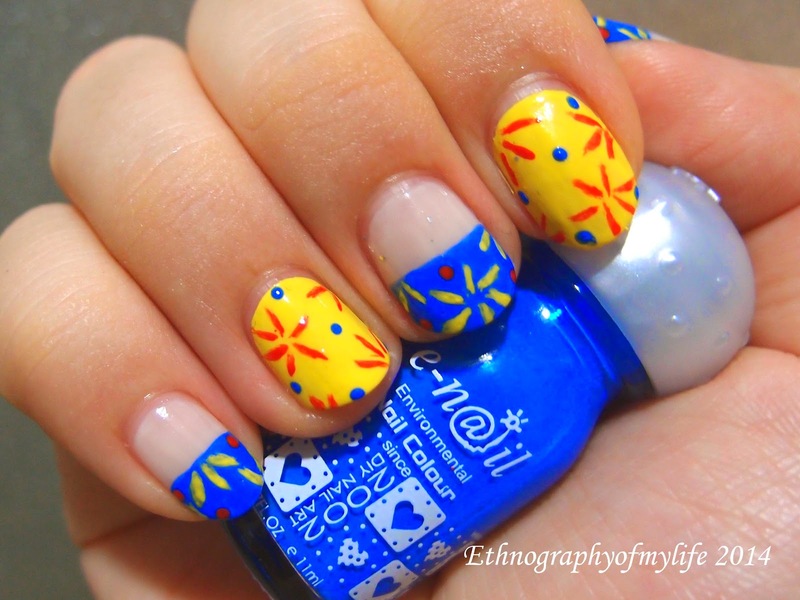 Anyway, this manicure was inspired by summer activities, bright yellow with bright blue! 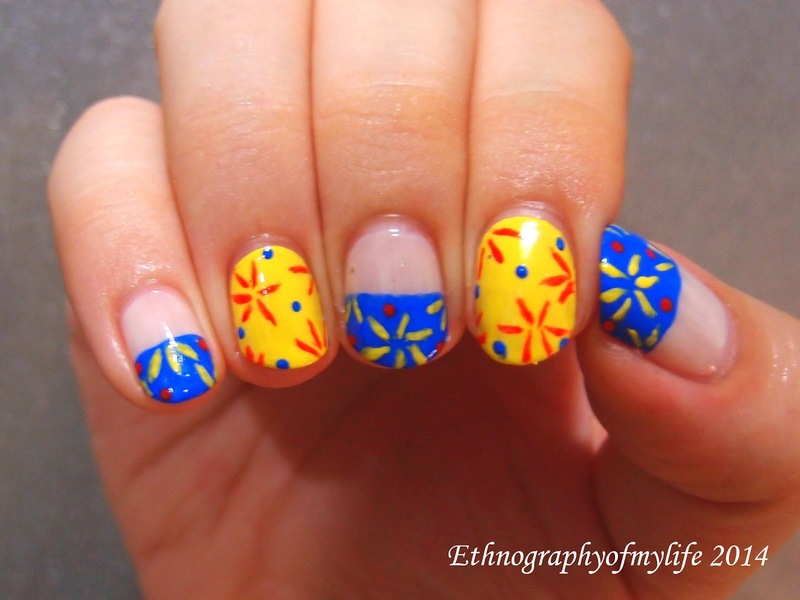 Somehow, the color combo also makes me think about legos, the bright contrast!